Book Report for “Ham Radio for Arduino and Picaxe” in the Adafruit Forums! « Adafruit Industries – Makers, hackers, artists, designers and engineers! Here’s a brief book report from the Adafruit forums covering the recently published Ham Radio for Arduino and PICAXE edited by Leigh L. Klotz, Jr, WA5ZNU, a book featuring a number of projects, and in many places pointing back to resources at Adafruit. 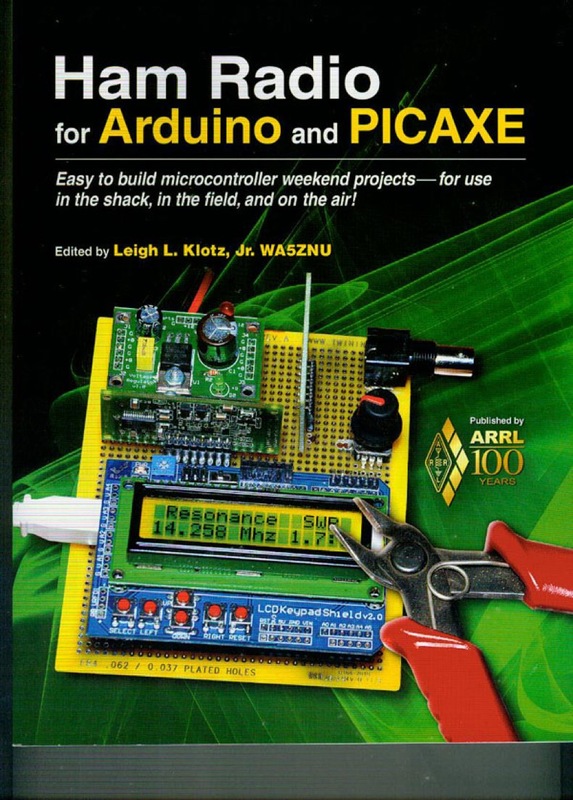 “Ham Radio for Arduino and Picaxe” Edited by Leigh Klotz WA5ZNU ISBN: 978-0-87259-324-4. Available from http://www.arrl.org. Frankly I did not have high hopes for this book as the ARRL seems to mostly favour projects using PIC processors and I am an Arduino person. But received my copy in the mail today and my first browse through has left me very impressed. There are four PicAXE projects, two ATTiny projects, and 14 Arduino projects, serious, useable, real world projects. Anyone who thinks microcontrollers are toys should be made to read this. The book opens with letters from Dave Sumner, K1ZZ, the head of the ARRL, Dave Dougherty from MAKE magazine, and the editor. That’s followed by a discussion of Amateur radio, and the history of Hams and microcontrollers. Each project is then presented in separate chapters. Theory, Construction, and source code are all discussed in great detail. I only wish we had software this well documented at my job. Each chapter ends with a long list of related URLs, (many of which point to Adafruit) and links to appropriate source code. Comments Off on Book Report for “Ham Radio for Arduino and Picaxe” in the Adafruit Forums!